Give A Little, Change A Lot! 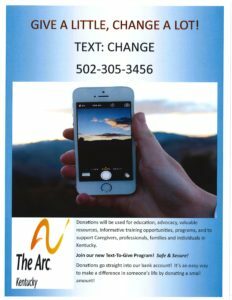 Join Our New Exciting Text-To-Give Program! It’s an easy and secure way to make a difference in someone’s life by donating a small amount! 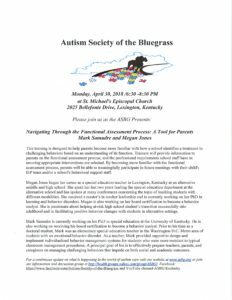 Donations go straight to The Arc of Kentucky. 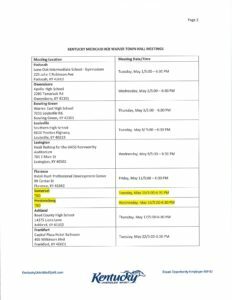 Please see the link below for a revised Town Hall notification with updated confirmation of the Somerset and Prestonsburg locations. You do not have to register for the Town Hall. Individuals will be accepted until the capacity of the venue is reached. Please share this with anyone who is invested in the 1915 C Waivers! 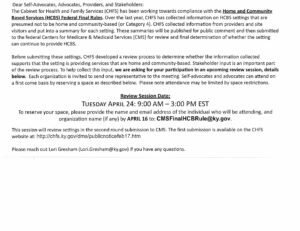 Click the link below to view the resulting suggestions from the first phase preliminary town hall focus groups. 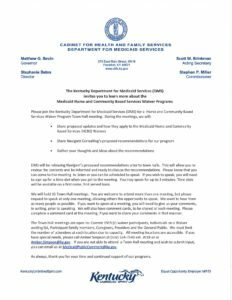 The Kentucky Department of Medicaid Services invites you to learn more about the Medicaid Home and Community Based Services Waiver Programs. 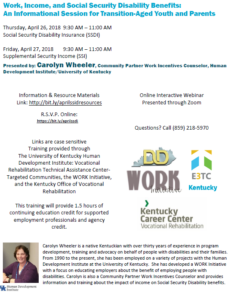 The Commonwealth Council on Developmental Disabilities would like to support self-advocates in attending the meetings for the Medicaid Town Hall meetings. Please contact Nicole Maher for more details. 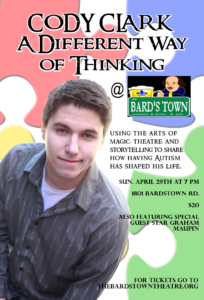 Shively based magician/autistic self-advocate Cody Clark will be doing an autism awareness month performance of Cody Clark: A Different Way of Thinking at The Bard’s Town Theatre on Sunday, April 29th at 7 PM. 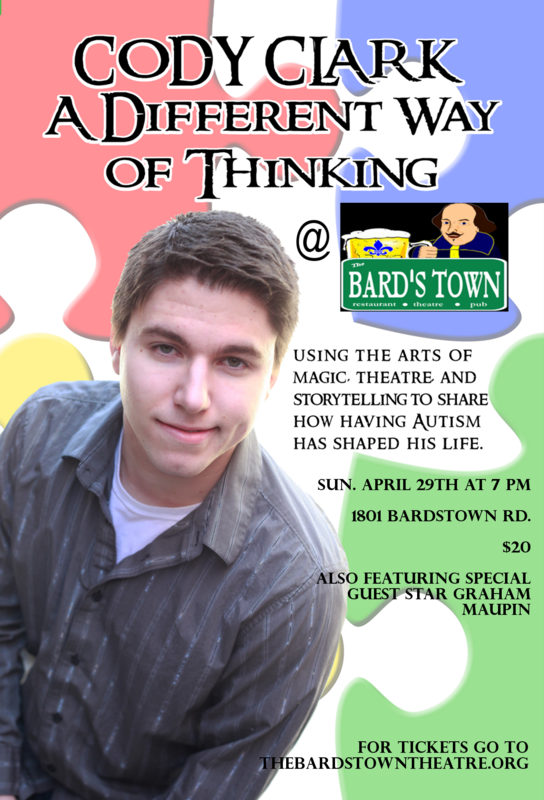 His show combines magic, comedy, and storytelling to give audiences a first-person account of being on the autism spectrum.